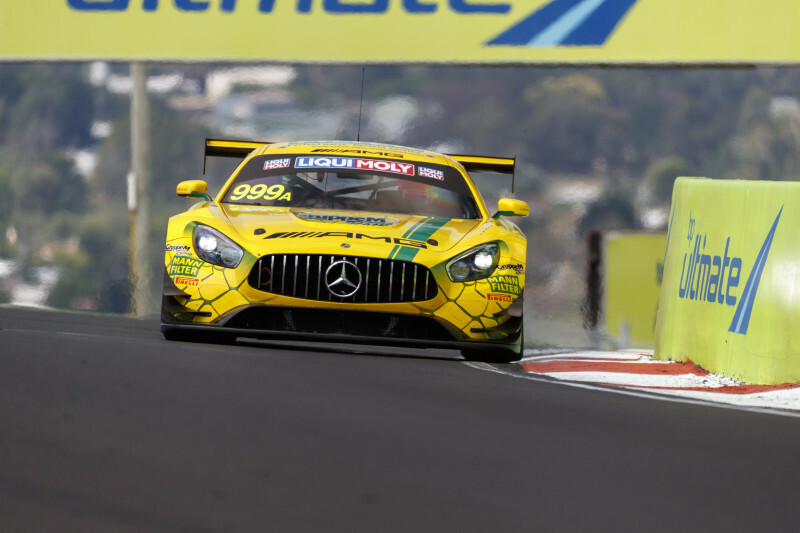 Blancpain GT Series drivers champion Raffaele Marciello put the #999 Mercedes-AMG Team MANN FILTER GruppeM Racing he shares with Maxi Buhk and Maxi Goetz on pole position for the Liqui-Moly Bathurst 12 Hour, lapping the 6.21 km Mount Panorama circuit in 2:02.9348 in the Top Ten Shoot Out. Quickest round the Mountain in the Shootout was Jake Dennis, at the wheel of the #62 R-Motorsport Aston Martin V12 Vantage, who lapped in 2:02.4946. The #62 crew will, however, be subject to a two-place penalty for a pitlane infringement in the first qualifying session so will start from third on the grid. Setting the third quickest time in the Shootout was the #77 Mercedes-AMG Team Craft Bamboo Black Falcon Mercedes-AMG GT3 in which Maro Engel set a 2:03.0419 in the car he shares with Luca Stolz and Gary Paffett. Quickest of the Pro/Am entries was the #777 The Bend Motorsport Park Mercedes-AMG GT3 driven by David Reynolds who set a 2:03.1735. The qualifying sessions had opened with the whole grid on track with the Class B, C and I entries setting their qualifying times for the race. 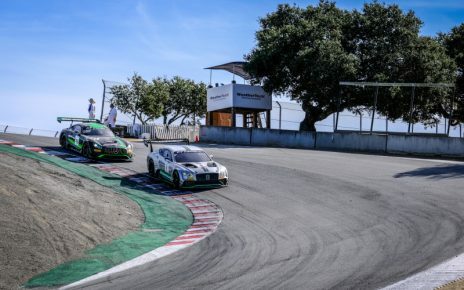 The #62 R-Motorsport entry showed its form by topping the time sheets with a 2:03.0181 while the Soucek / Soulet / Abril-crewed #108 Bentley Team M-Sport Bentley Continental GT3 was second quickest with a 2:03.5029. The quickest entry outside of the Class A Cars was the #91 MARC Cars Australia Marc ll V8 which set an official time of 2:05.3653 in the hands of Anton de Pasquale. Pasquale was able to lap the car quicker and set a 2:04.2585 but with the time being lower than the set minimum for the invitational entry, it was disallowed. Taking pole position in the Class B Cup cars category was the #4 Grove Group Porsche 911 GT3 Cup in which Ben Barker set a 2:06.4520 early in the session. 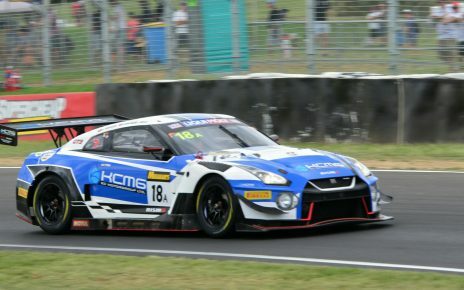 The Class C GT4 category pole was taken by #71 Exendra Motorsport KTM X0-Bow GT4 which lapped Mount Panorama in 2:17.0721 in the hands of Mathias Beche. As qualifying moved into the second session, reserved for the Class A field, it was, again, Jake Dennis who demonstrated the pace of the Aston Martin V12 Vantage by setting a 2:02.4127 on his final lap. David Reynolds, at the wheel of the #777 Mercedes was second quickest with a 2:02.4249 while Raffaele Marciello, driving the #999 entry could only manage ninth quickest. The battle for a place in the Top Ten Shootout was fierce, however, with less than four tenths of a second covering the qualifiers for the final session. With the penalty applied to the #62 R-Motorsport entry, the #999 Mercedes will start from pole position for the Liqui-Moly Bathurst 12 Hour and will be joined by the #77 Mercedes on the front row of the grid. 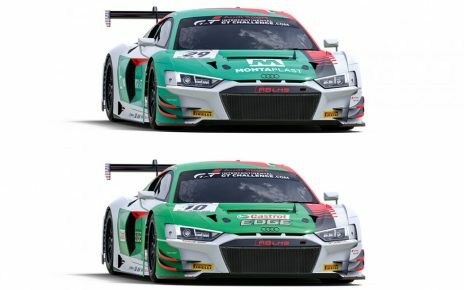 The #62 R-Motorsport Aston Martin will start from third and will be joined on the second row by the #107 Bentley Team M-Sport Bentley Continent GT3. The lights go out for the 2019 running of the Liqui-Moly Bathurst 12 Hour at 05:45 local time on Sunday February 3. UPDATE: Subsequent to the results of the Top Ten Shootout being published the #62 R-Motorsport Aston Martin V12 Vantage was excluded from the results due to a technical infringement. relating to the mandated rev limit threshold of the Aston Martin’s V12 engine. The official starting order will published shortly after the results of any further penalties or infringements have been applied.